What's not to love about Pancake House? Delicious comfort food, homey interiors and friendly service has kept us coming back for more, all these years now. 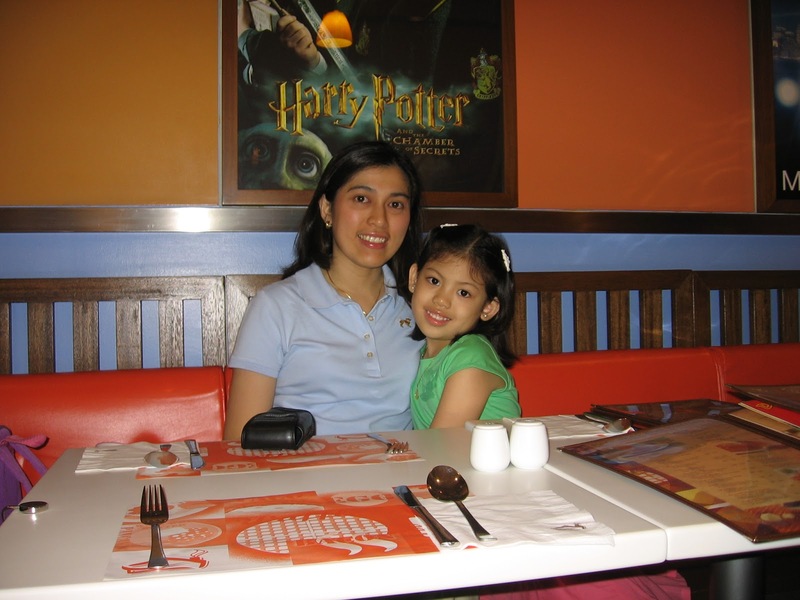 Pancake House has also been a part of many of our family celebrations. Celebrating Bianca's 7th birthday, June 2005, Molito Lifestyle Mall branch. Pancake House Addicts, August 2013. Some things never change. 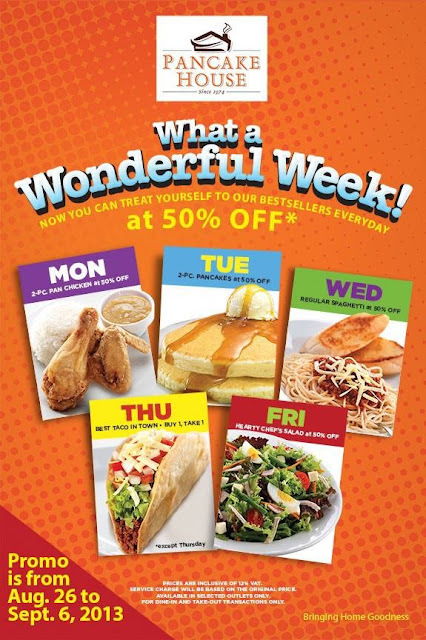 We got so excited when we found out that Pancake House is having a repeat of their What a Wonderful Week, 50% off promo! Each day of the week (Monday thru Friday only), they feature one of their bestseller dishes at half price. So, we decided to take the 5 day challenge- to eat in Pancake House 5 days in a row. And we did it! With at least 5 branches conveniently located within our vicinity, and since we're already big fans of Pancake House, this challenge was as easy as pie. Monday 9/02- 2 pc. Classic Pan Chicken with rice. Who doesn't love Pancake House's chicken with gravy? Just perfect! Tuesday 8/27- Our favorite Blueberry Pancakes! Wednesday 8/28- Homestyle Spaghetti. Their signature spaghetti sauce is also available in 1kg jars at Php890 for you to take home. Friday 8/30- Hearty Chef's Salad. The 50% off promo is good for both dine in and take out, so I brought home this salad to eat with our Friday night dinner at home. Pancake House's What a Wonderful Week Promo is until September 6, 2013. Please check out their Facebook page for participating outlets and more details. Go ahead and enjoy. Welcome home! Wow! Ang sarap...Is that a nationwide promotion of Pan Cake house? Hello, cheekeegirl. How are you? Promo is available in selected Metro Manila outlets.